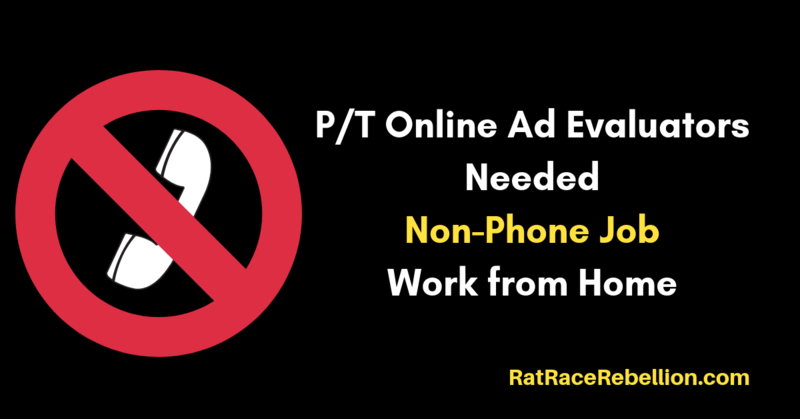 If you’re looking for a part-time, *non-phone job, Lionbridge is hiring people to evaluate online ads. Training provided. Basically, you’re giving feedback on the ads in search engine results, and whether they fit with the search terms used. *You’ll need a smartphone to evaluate the ads, but not for customer service or similar calls. Pay isn’t quoted, though Glassdoor employee reviews put it at around $14-$15/hr. However, this may depend on the demand for Evaluators, how quickly you work, etc. Workflow may vary, so you may want to look at this as a side gig rather than primary income. Lionbridge has hired many RRRebels over the years. Glassdoor employee reviews give them 3.1 stars out of 5 overall. Indeed reviews give them 3.4. We are looking for dynamic and creative people who have strong communication skills and use the Internet daily. The job involves analyzing and providing feedback on online advertisements found in search engine results and evaluating their relevance to the search terms used. Personalized Ads Evaluators log on to the online tool to select tasks to do on a self-directed schedule. A Personalized Ads Evaluator provides feedback and analysis on advertisements found in search engine results and provides ratings on their relevance to the search terms used. Some of the task types will require both a desktop/laptop and a smartphone. Experience using Gmail as primary email, daily access to and use of a broadband internet connection to perform the work. Some task types require both a desktop/laptop and a smartphone. Only Android smartphones 4.1 or higher are acceptable. For more, click here. If you’re an Android and desktop user, you may also be interested in Lionbridge’s openings for part-time Internet Search Reviewers. For those jobs, click here. To see more jobs like these, check our Newest Jobs & Gigs page. To be the first to hear about jobs like these, like our Facebook page and select “See First” in the drop-down menu under “Follow.” May you be working from home soon! This entry was posted in Work at Home Jobs. Bookmark the permalink.